InterMat, a major industry leader, released its new rankings Jan. 23. Kansas continues to have great success at 220 pounds. Newton senior Wyatt Hendrickson, who has signed with Air Force, stayed No. 3 in the country. St. James junior Cade Lautt is ranked No. 16, and El Dorado senior Braden Morgan is No. 17. In Kansas, Hendrickson and Lautt stand 1-2 in Class 5A, and Morgan is No. 1 in 4A. Last year at state, Hendrickson captured the title at 195, Lautt took fourth at 182 pounds in Class 5A, and Morgan captured the title at 195 pounds in 4A. Additionally, Goddard’s Troy Fisher is ranked No. 12 at 170 pounds. Fisher has committed to Northwestern. He is ranked No. 1 in 5A. The longtime Bob Kuhn Prairie Classic at Hays High drew 24 teams this season. Haysville Campus was first at 175.5, while McPherson was second at 156. Pratt took third at 148, followed by Salina Central at 137.5. Three WAC schools – Garden City, Great Bend and Hays – all finished within 1.5 points. GC had 131, GB had 130.5 and Hays High finished with 130. Campus remained seventh in 6A. Garden City is fifth in 6A, and Great Bend is seventh in 5A. Both GC and GB did not move from its positions last week. Campus’ Kale McCracken (28-0) continued his perfect season with a championship at 113. He defeated Garden City’s Silas Pineda, 4-3, in the final. Pineda dropped to 30-8. McCracken is No. 1 in 6A, and Pineda is No. 2. At 138, Nathan Bowen (25-4) took second and earned a quality win versus McPherson’s Rhett Edmonson in the semifinals. Edmonson is 28-2 this year and eventually finished third. Bowen delivered a 7-5 victory. In the finals, Great Bend’s George Weber continued his perfect season, moved to 31-0, and won 2-0. Weber and Edmonson flip-flopped places in the 5A poll. Weber now stands third. Bowen bumped up a spot from third to second at 138. At 152, Luke Bowen (28-3) delivered a title with four wins by fall. He was one of three wrestlers to finish with four falls, and Bowen had easily the least pin time in 6 minutes, 7 seconds. In the championship, Bowen delivered a signature victory against Pratt’s Kadence Riner, 7-3. Riner is 26-2 this year. Bowen is third at 152 in 6A, and Riner moved from second to third at 152. At 195, Brycen Schroeder (21-4) took third in a loaded weight class. Schroeder’s only defeat came against Hoisington’s Wyatt Pedigo, 6-4, in the semifinals. At 220, Garin Williams (19-5) finished second and lost, 7-0, in the championship to Goddard Eisenhower’s L.J. Flax. Williams is 19-5, and Flax stands at 21-1. Flax is sixth at 220 at 5A. At 126, Taylor Parrett (12-13) finished sixth as the No. 16 seed, and the 10-place seed difference was the largest of any wrestler in the tournament. Parrett won four of his first five matches and went 4-3 in the tournament. 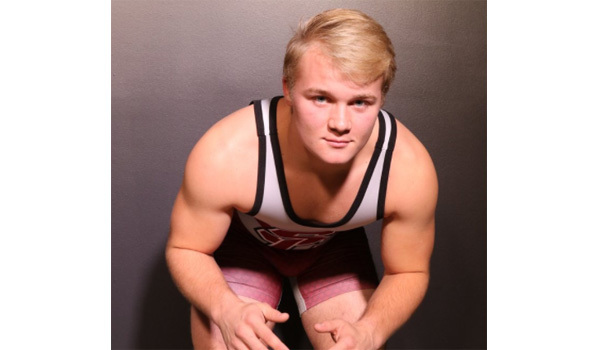 In arguably the biggest match at the Prairie Classic, Salina Central’s Taylon Peters moved up a weight class and defeated Hoisington’s Pedigo, 7-2. Peters is 19-1, and Pedigo took his first loss of the year to drop to 23-1. Peters is ranked second at 182 in 5A, and Pedigo is No. 1 at 195 in 3-2-1A. As well, SC had multiple other quality finishers. At 126, Drew Burgoon (22-0) stayed perfect and remained third in 5A. In the semifinals, he tech falled Phillipsburg’s Jacob Sisson, a defending state champion, and in the final, he won by tiebreaker versus Great Bend’s Carsyn Schooler, 3-1. Schooler dropped to 26-6. Schooler is sixth in 5A at 126, and Sisson is fifth in 3-2-1A. As well, Slade Adam (18-3) took third at 113 pounds, and Elix Hernandez (19-2) was second at 120. Hernandez lost to Garden City’s Diago Hernandez, 11-6. Diago Hernandez improved to 28-6 and is ranked sixth in 6A at 120, the same spot as last week. McPherson has delivered a solid season and bumped into the Class 5A rankings for the first time this season at No. 9. At 160, Scott Radke (28-1) delivered a championship with a tech fall win versus Pratt’s Jadon Koehler in the championship. Koehler moved to 23-6. Radke is second at 160 in 5A, and Koehler is unranked for the Greenbacks. Jonah Clarke (23-6) took second at 170 to Oakley’s Morgan Rains in an 8-5 decision. Rains is 18-2, and Clarke stands at 23-6. Rains is third in 3-2-1A. At 182, Landon Frantz (22-5) won a championship with a 6-0 win versus Pratt’s Caden Blankenship (22-6). The 285-pound bracket was very strong with Lakin’s Hadley Panzer, McPherson’s Alex Perkins and Garden City’s Refugio Chairez. In the semifinals, Perkins defeated Chairez, 8-6. Perkins is 13-3, and Perkins stands at 16-5. In the finals, Panzer moved to 21-0 with a 4-0 decision. Panzer is second in 3-2-1A, Chairez stands second in 6A, and Perkins is into the 5A rankings for the first time at No. 6. In Class 4A, Devon Weber (28-0) garnered the title at 106. After a first-round bye, Weber earned a victory by fall in 28 seconds. In the semifinal, Weber defeated Ulysses’ Quentin Pauda, 7-2. In the championship, Weber beat Kapaun’s Bubba Wright, 4-2. Wright is 26-3. Weber is ranked first in 4A at 106. Koda Dipman (21-7) took third at 120 in addition to the runner-ups from Riner, Koehler and Blankenship. In addition to Weber’s 31-0 record and title, Jeffrey Spragis (19-5) took first at 132 pounds. He had three victories by fall and one by major decision before the final. In the championship, Weber defeated Buhler’s Adam Whitson, 7-5, in sudden victory. Whitson is 20-3. Spragis is now fourth in 5A after he was not ranked last week. At 145, Gage Fritz (30-1) delivered the title in four different ways: by tech fall, fall, decision and a 9-1 major decision versus Buhler’s Nick Elliott in the championship. Fritz is third in 5A. Smoky Valley earned the title at the nine-team Nickerson tournament. SV had 195 points, while Nickerson was second at 179.5. Wichita North was third at 117. For SV, Devon VanFosson (9-14) earned the championship at 120 pounds. Seth Morgan (6-3) placed first at 138, and Hunter Trostle (7-14) was first at 152. Chase Pywell (19-8) delivered the crown at 160. Dax Hopp (21-6) won at 170, and Tanner Luttig (14-6) was second at 182. Ethan Wampler (22-3) enjoyed a dominant run through the 285-pound bracket. After a first-round bye, he won in 1:39, 25 seconds, 50 seconds and in 3:48. Wampler was one of 10 wrestlers who had at least four pins. He had the second-least amount of total pin time in 6:42. Chapparal’s Jarrett Angle was first at 6:01. However, Angle took second at 126. Nickerson’s Nichole Moore captured the championship at 106 pounds. Moore (25-6) had a dominant run with victories by fall in 1:39, 54 seconds, a technical fall, a forfeit and a win by forfeit in 15 seconds. At 113, Gage Cooper (26-4) with four wins by falls. Cooper won in 5:15, 53 seconds, 45 seconds and 3:54. Brogan Isley (12-10) captured the title at 126 pounds, including a 3-0 win versus Jarrett Angle. Dylan Schneider (23-9) was first at 145 pounds with a 9-0 decision versus Garden Plain’s Jeb Nowak. He dropped to 14-3. Clayton Edwards (14-16) was second at 152, while Jarin Gomez (21-5) was second at 170, Sam Logan (6-6) took runner-up at 195, and Mattieu Cedillo (16-7) was second at 285. Maize, ranked third in 5A behind Goddard and Arkansas City, captured the 21-team Blue Valley Northwest Invitational with 218 points. Bonner Springs took second with 204 points, and Blue Valley was third with 151. In a high profile match, Bonner Springs’ Cassius Vanderpool defeated Maize’s Junior Camacho, 2-0, in the 113-pound final. Vanderpool moved to 23-5, and Camacho dropped to 21-6. They are ranked second and third, respectively, in Class 5A. Vanderpool had one of the biggest jumps of any wrestler. He was unranked last week and is second this week. Camacho dropped from second to third. At 132, Aidan Campbell (26-1) won the title with a win by fall in 3:37 against Bonner Springs’ Semian Vanderpool. Campbell is ranked first at 132. Devin Gomez (29-0) remained perfect at 145 and stayed top-ranked at 145. He defeated Pleasant Hill’s Gabe Hodge, 11-3. Carson Wheeler (24-6) is ranked third at 160 and won by fall in 2:23 against Shawnee Mission West’s Richard Waeltermann. At 182, Kyle Haas continued his dominant season and moved to 26-0. Haas won his four matches in 66 seconds, 65 seconds, 79 seconds and 12 seconds. At 285, Jake Quiggle (24-5) earned a key victory versus K.C. Schlagle’s Paul Beasley, 4-3, in the finals. Beasley is 18-2. Quiggle is ranked fourth in 5A, Beasley fifth. The two flip-flopped from last week. In addition to Cassius Vanderpool, Bonner Springs, which stayed ranked No. 5 in 5A, had several titlists. At 106, Derek Duffett (22-6) captured the championship with a win by fall in 1:19. Duffett had a dominant run with victories in 33 seconds, 51 seconds, 87 seconds and 79 seconds. Duffett is ranked third in 5A. Cruz Lara (20-7) captured the championship at 120. Lara, ranked fourth at 120 in 5A, defeated Shawnee Mission Northwest’s Charles Brockmann, 3-2, in the finals. At 152, Joe Tapia (25-5) delivered the title with a 7-3 victory versus Hutchinson’s Patrick Graebner. Tapia stands fourth at 152. At 220, Caleb Willis (25-2) captured the title. Willis is ranked third behind Hendrickson and Lautt and has also enjoyed a dominant year with a 25-2 record. He won four matches by fall, all in 56 seconds or less. The 20-team Beloit Invite had to move times up because of the weather. Blue Valley Southwest won with 198 points, Marysville was second at 184, Colby took third at 164, and Abilene took fourth at 145. Beloit took fifth with 99.5 and Hoxie was sixth at 89.5. Blue Valley Southwest is fourth in 5A, Marysville stands third in 4A, Colby is first in 3-2-1A, and Abilene is ninth in 4A. Abilene moved into the poll this week. Hoxie bumped up from ninth to fifth in 3-2-1A. For BVSW, Hayden Mills (24-5) was first at 106 pounds with a 7-4 win versus Clay Center’s Rhett Koppes in the championship. Mills stayed second in 5A, and Koppes dropped from third to first in 4A. Koppes took his first loss and dropped to 23-1. Joseph Dennison (24-4) was first with 126 pounds and defeated Oberlin’s Drew Juenemann, 11-4. Dennison stayed second in 5A. Daniel McMullen (20-7) was second at 132. Brandon Madden (26-3) won at 138 with a win by fall in 3:51 against Smith Center’s Jaden Atwood. Madden is still ranked first in 5A, and Atwood bumped from fourth to first in 3-2-1A. Jacob Boone (18-6) took second at 145, and Seth Nitzel (25-5) was second at 170. Hoxie senior Dayton Porsch, a three-time state champion, continued his dominant career with Outstanding Wrestler honors at Beloit. Porsch moved to 24-0 at 160 pounds and is ranked first. He earned his first two matches by tech fall, then won by fall in his next two matches. In the championship, Porsch beat Concordia’s Hunter Schroeder by fall in 1:53. Schroeder dropped to 19-2. At 132, Dylan Weimer (19-3) captured the championship. Weimer had a bye, won by fall in 1:14, technical fall and a 4-2 decision versus Blue Valley Southwest’s Daniel McMullen. At 120, freshman Drew Bell took second and moved to 19-3. Weimer is unranked, and Bell is second at 120. The Eagles didn’t capture a title, but had multiple second- and third-place showings. At 106, Tyler Voss, ranked first in 3-2-1A, took second. Voss moved from third to first. Rathe Aschenbrenner was third at 113. Kory Finley was second at 182, and lost to Holcomb’s Tanner Johnson, 9-3. Johnson is 18-0. Aschenbrenner is third in 3-2-1A, while Johnson and Finley stand at 2-3, respectively. Booi took second at 195, while Tucker Branum was second at 220, and Declan Ryan finished second at 285. Booi is second in 3-2-1A. Branum fell to Abilene’s Dawson Wuthnow by fall in 5:41. Ryan lost by fall in 2:43 to Republic County’s Eyann Zimmerman (25-1). At 120, Isaac Novotny (17-6) collected the crown with an 8-7 victory against Hoxie’s Drew Bell in the championship. At 195, Garron Champoux (21-0) won the title with a fall in 1:22 against Colby’s Hagan Booi (22-3). Both wrestlers stayed in their respective rankings – Novotny is fifth and Champoux second. Three top-ranked wrestlers won titles. Abilene’s Will Stroda moved to 28-3 with a fall in 3:11 at 113 pounds. Stroda is first in 4A. Riley County’s Luke Richard (25-0) defeated Blue Valley Southwest’s Jacob Boone with a 13-2 major decision victory in the 145 finals. At 152, Beloit/Mankato-Rock Hills’ Zane Colson (16-0) earned a 7-3 victory against Salina South’s Derrek Sherwood. Richard stands first at 145, and Colson is first in 152. St. Thomas Aquinas finished sixth at the 48th annual Winnetonka Invitational, a major Missouri tournament that featured 24 varsity teams. At 138, Johnny Akin (31-6) took second and finished 7-1. Akin won by 15-2 major decision, two falls, a forfeit, and decisions by scores of 3-1, 5-1 and 8-5. In the final, he lost to Blue Springs (Mo. )’s Deandre Thomas, 3-1. Akin stayed fifth in 5A at 138. At 145, Aquinas’ Jared Simma (37-1) captured the championship. Simma won by technical fall, by fall in 5:29, a 17-5 major decision, and by fall in 1:03. In the fifth round, Simma won by fall in 3:12. In the quarterfinals, Simma won by fall in 1:13. In the semifinals, Simma had a technical fall victory. In the first place match, Simma defeated Kearney’s Caden Green, 5-0. Simma scored 55.5 points, first among all wrestlers in the tournament. He remained fifth at 145. At 152, Joseph Hancock (33-4) was second. Hancock collected victories by technical fall, 7-2, technical fall and 8-2. In the quarterfinals, Hancock won a 3-2 decision. In the semifinals, Hancock had a 10-2 major decision. In the finals, Hancock lost, 3-1, to Francis Howell Central (Mo. )’s Corey Wait (27-0). At 285, Peyton Reeves (35-2) had a dominant run with wins by fall in 1:53, 35 seconds and 1:07. After a bye, Reeves won 6-0, by fall in 32 seconds. In the semifinals, Reeves had a 4-1 decision, and then defeated Park Hill (Mo. )’s Simon Tesfamarian, 11-0, in the championship. Reeves’ four pins tied for ninth among all wrestlers. His cumulative pin time was 4:07. Simma also had four pins by a total time of 10:57. Reeves had 51 points, No. 10 among all wrestlers. Hancock is second at 152, and Reeves is third at 285. Chanute captured the 18-team Paola tournament with 193 points, and easily won against Webb City (Mo. ), which finished with 148 points. Paola took third at 128.5 points, and Anderson County was fifth at 124. At 106, Trent Clements (22-4) took second with a 5-2 championship loss against Webb City’s Kyler Carter, who is 29-1. Clements moved from fourth to third in 4A. At 113, Kolton Misener (21-7) lost, 13-9, in the final against Osawatomie’s Chance Mitzner, who improved to 21-0. Mitzner moved into the rankings at No. 5, and Misener, who was sixth, dropped out of the poll. At 132, Logan McDonald (21-5) captured the championship. McDonald won his first two matches by fall in 1:47 and 3:33. Then, McDonald defeated Eudora’s Hagan Andrews, 10-8, in sudden victory. In the title, McDonald defeated Wellsville’s Ethan Ewing by fall in 1:06. Ewing is 20-2. Logan McDonald is fourth at 132. At 145, Brady McDonald (22-5) was second and fell 10-2 to Frontenac’s Mason Jameson, who is ranked second. Dalton Misener, at 160, was second and dropped to 20-6. He fell to Prairie View’s Gavin Cullor, who moved to 26-0 with a technical fall victory. Cullor is ranked first. Brayden Dillow (22-7) took second at 182 and lost by fall in 5:38 to Anderson County’s Dominic Sutton (24-3). In addition to Sutton’s victory, Ryland Wright (27-5) took first at 120 with a fall in 4:29 versus Eudora’s Larry Gulley. At 170, Logan Allen (25-6) defeated Topeka Highland Park’s Kenny Hartzell, 5-4. At 220, Dallas Higginbotham (24-6) captured the crown with a 2-1 tiebreaker versus Webb City (Mo. )’s Matt Miller. Other Higginbotham is ranked at No. 6 in 4A. He was ranked in the same spot last week. Preston Martin led host Paola with a title at 126 pounds. Martin (24-3) won by fall in 1:36 and stayed second in 4A. At 138, Frontenac’s Riley McDaniel continued his great season, moved to 22-0 and defeated Pittsburg’s Reece Watson, 14-2. McDaniel moved up to No. 1 from No. 2 and exchanged spots with Scott City’s Kaden Wren. Will Jameson of Frontenac took first at 152 against Wellsville’s Anthony Signs. Jameson is ranked sixth in 4A with a 9-2 mark and moved into the poll. At 285, Sean Ryan, ranked No. 1 at 285, captured the title versus Tyler Hoffman of Carl Junction (Mo.). Ryan moved to 18-2 and won by fall in 50 seconds. Ryan had a dominant run and tied for the most pins by any wrestler (four) and had by far the fewest total pin time in 4 minutes, 26 seconds.